Optical disc masterminds have this week produced a high-definition disc using a normal DVD-ROM - but it can only be played on an HD DVD player. Doug Carson & Associates ' (DCA) 3XDVD-ROM uses a red laser disc instead of newer high-capacity blue-laser discs, but employs the same filing system as HD DVD, UDF 2.5. It also uses HD DVD's copy protection system, AACS. Details on the disc's capacity are scarce. 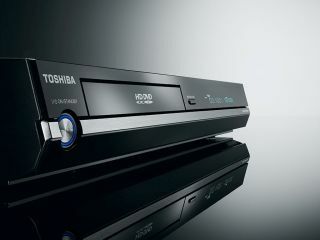 Ars Technica thinks 3XDVD-ROM will store 720-line progressive HD content - the most popular kind of HD video. The new disc has been immediately supported by Eclipse Data Technology , producers of DVD mastering technologies. The company says it will offer the necessary software upgrades to DVD manufacturers wishing to adopt 3XDVD-ROM. How successful the 3XDVD-ROM format will prove to be depends on its uptake by DVD manufacturers. While it may be cheap to produce, recent sales figures show HD DVD being outsold by its rival Blu-ray.